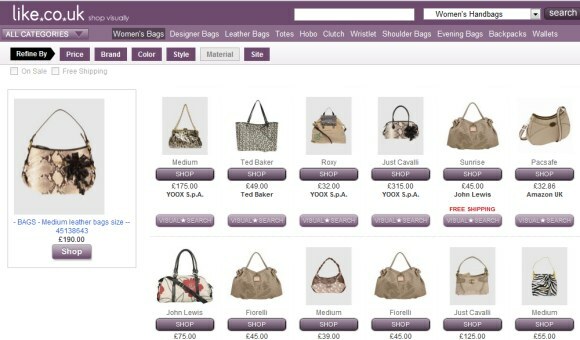 Google acquired Like.com, a product search engine that used visual search to find similar products. "We were the first to bring visual search to shopping, the first to build an automated cross-matching system for clothing, and more," says Munjal Shah, the former CEO of Riya, the company that developed Like.com. 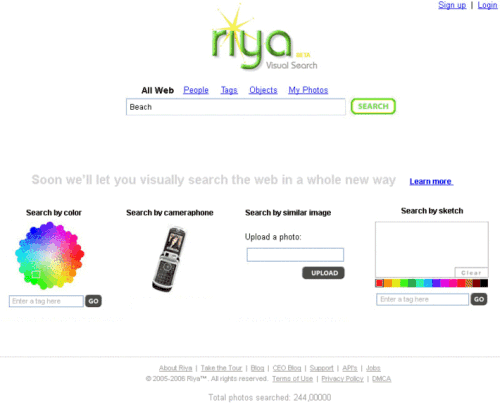 Riya launched in 2005 an impressive software that used face recognition to organize photos. "Riya leveraged facial and text recognition technology with an intelligent interface to help people make sense of the thousands of untitled and untagged photos that are building up on their hard drives." Google launched a similar service 4 years later, using technology from Neven Vision. Much like Google Wave, Riya's software looked great in demos, but it didn't work well in the real world. The software required a huge collection of photos and each photo had to be uploaded to Riya's servers. "The process is slow; Riya says it takes about 24 hours to upload 4,000 pictures," mentioned the USA Today at that time. Apparently, Google intended to buy Riya in 2005, but decided to acquire Neven Vision, a company that had a lot of patents on face recognition, photo analysis, visual mobile search. Neven Vision's acquisition helped Google add face recognition to Picasa, advanced features to Google Image Search and visual search to Android. Like.com has always been one of my favorite sites (aside from the visual search) due to their ability to function as the perfect affiliate model. What's important to know and remember is that Riya/Like.com was not and is not the only player in this space. There were and are still several others. Here are three (not including Face.com whose tech is in use on Facebook. Has been around for at least 10 years providing visual search and image recognition. Commercial (ex. tracking ads, stock photo houses, intellectual property tracking, etc.) and government users. Here's an interesting use of their technology from last month that powered a scavenger hunt of several candy shops. The technologies section of their web site is very useful. mobile app (iPhone, free) and/or an option to upload an image to a web site to find similar images. It's a "venture project" from Hitachi. These days GazoPa offers three services (all free). A) Options to upload, draw, search by keyword, or enter a URL and find similar images. You can also refine results. Looks and acts very similar to Like.com. "A picture's worth a thousands words. You can upload a picture, use a link, or draw it yourself, and others will help you find answers!" With TinEye you can learn where an image came from, how it is being used, if modified versions of the image exist, or if there is a higher resolution version. In this example, you'll see more than 2800 uses of the Abbey Road album cover by The Beatles on the Internet. So, not only is thus database helpful in finding the same image at different resolutions but also modified versions and versions that shouldn't be online for one of many reasons. It's a tool IP researchers love or will love soon. TinEye is a favorite around here. It's useful, fun, and somewhat addictive. Fast Fact: You can use Evernote.com to search the text inside of any image you upload to the service. Now, restaurant menus of your favorite places can be saved, searched, and shared.